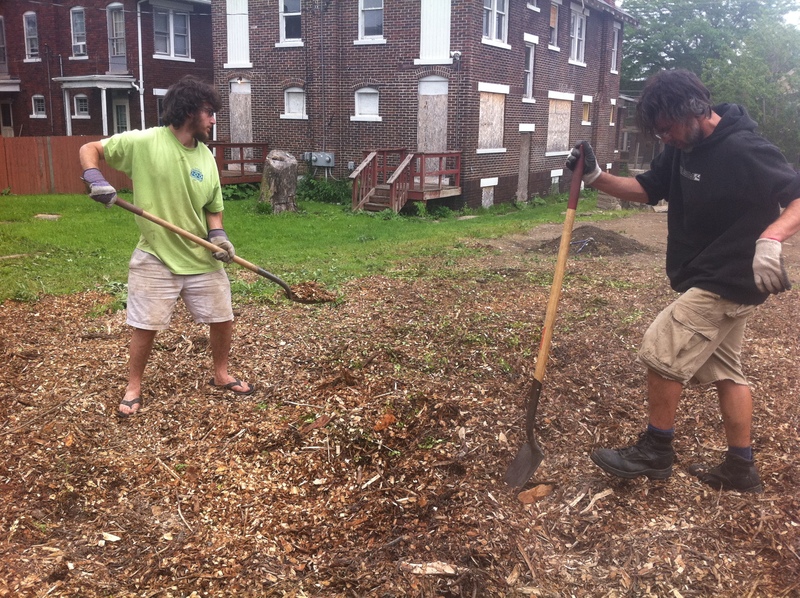 We’ve spread mulch over areas that won’t be gardened to keep down weeds and provide pathways, as well as compost large quantities of chipped wood, which long term will help remediate the soil. 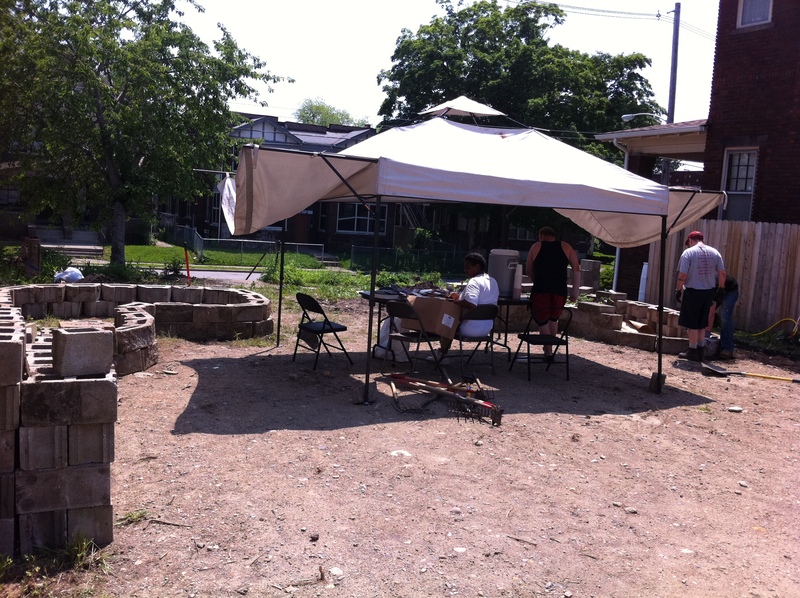 We gathered to work and eat on Sunday afternoon, attracting quite a few neighbors and community members. We made food for people and invited them to share it with us. Getting to know people and their stories is powerful community work. We got more 2 more raised beds put together, worked on terracing in the front, planted some more flowers, and got some soil from Lowe’s to put in the front beds. Turns out we’re going to need a LOT more soil than we initially thought. 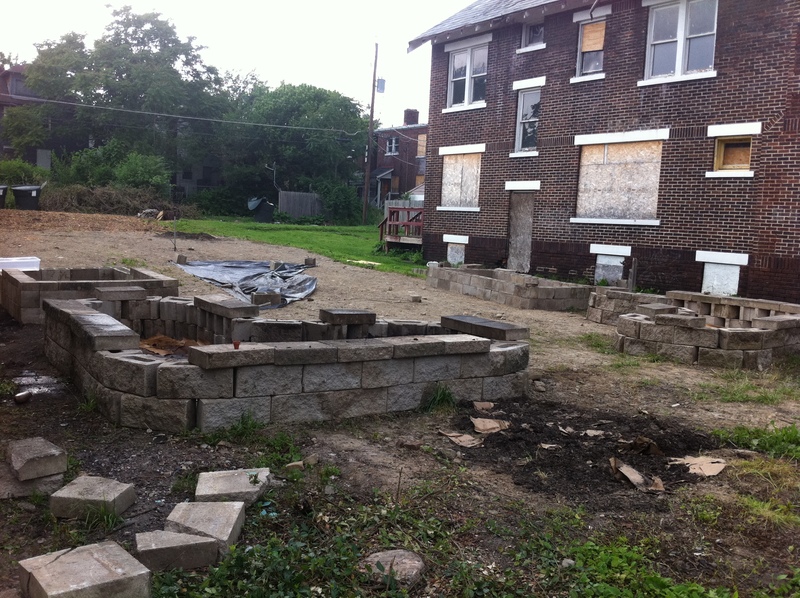 So, with giant thanks to Local Matters, the Wagenbrenner Development Company, and the Loewendick Demolition Contractors, we just got more soil than we had dreamed of getting. And there are 2 more truck loads on the way! 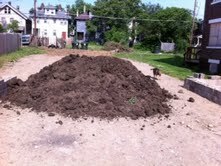 We are getting top quality organic soil from Kurtz Brothers from Local Matters and from the Wagenbrenners we got great top soil mixed liberally with composted horse manure. So, truly it’s been a project blessed by Serendipity! We had gotten hundreds of plants donated to the project before there was even soil, and we worried we might not ever get them in the ground. But, amazing people stepped forward and provided soil. The lesson we are taking from this is that if we are open to serendipity, the resources are there. Join us this next Sunday 12PM-5PM as we again garden and eat together. We’ve got lots of soil to spread, plants to tuck into beds, and water tanks to connect. Please consider joining us for a potluck at 4PM. 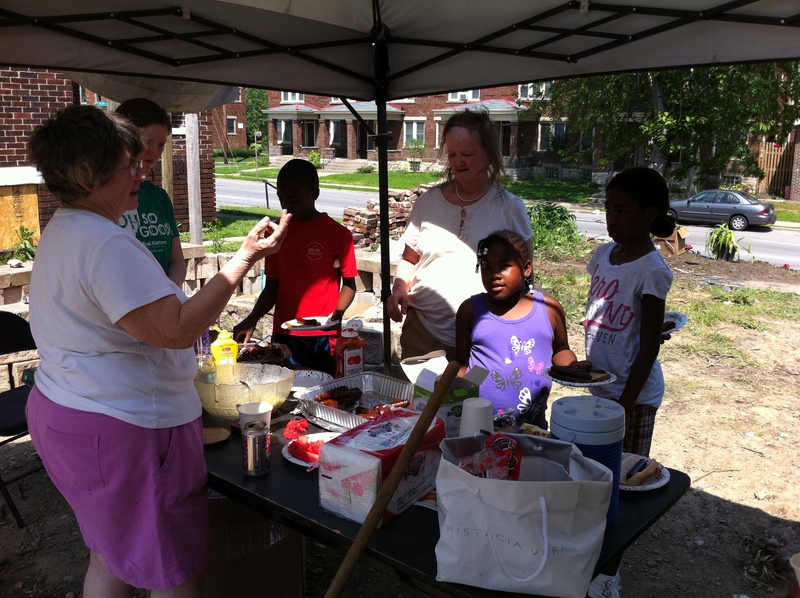 Bring what you have to share and together we will build community…one meal, one person at a time.